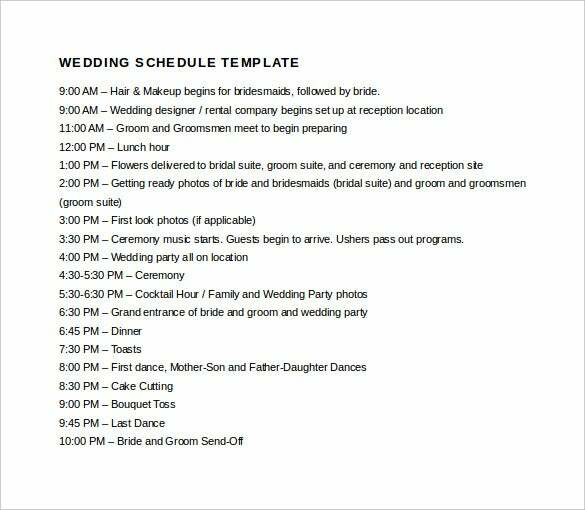 Wedding is a big event in a family but it can turn into a disaster if not scheduled well by the user-friendly Event Schedule Templates. 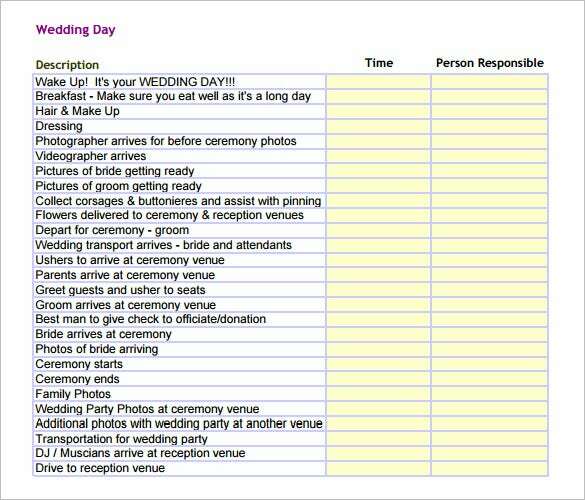 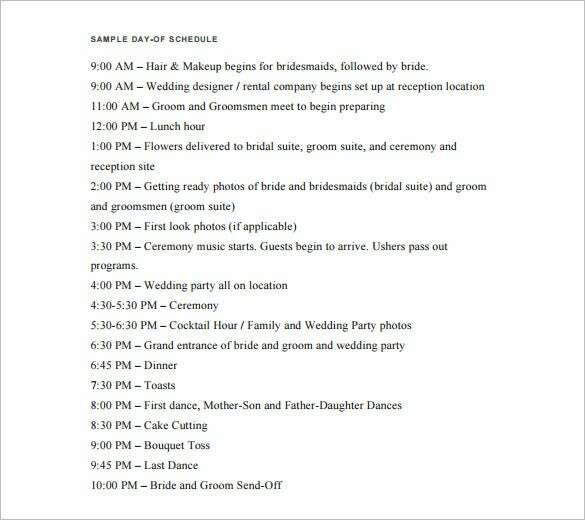 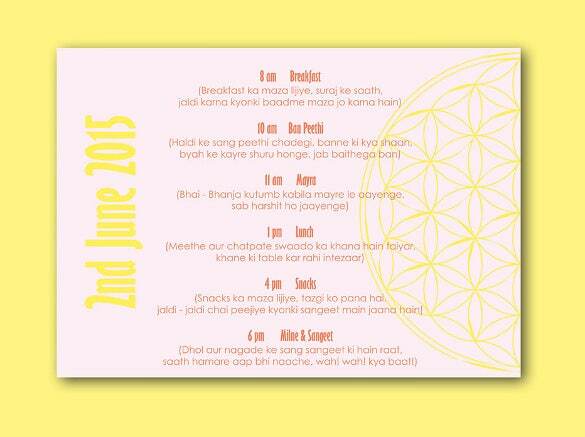 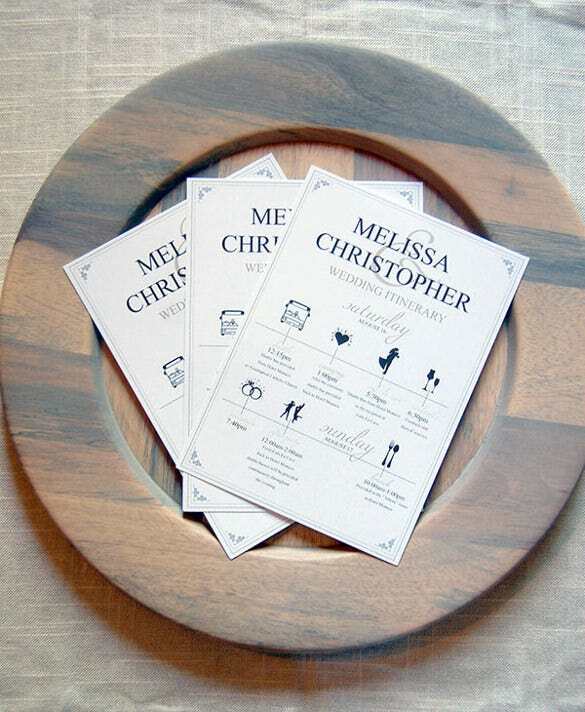 The art of a well-organized wedding are these templates with which you can manage guest list, date, day and timings. 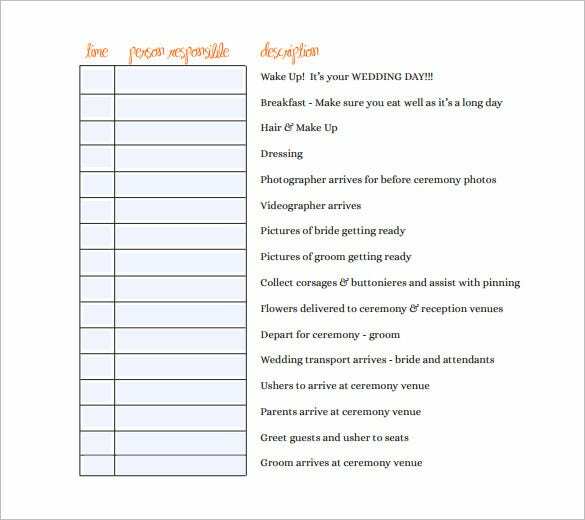 The templates are enriched with factors for managing guests perfectly and successfully managing an event without any hassle. 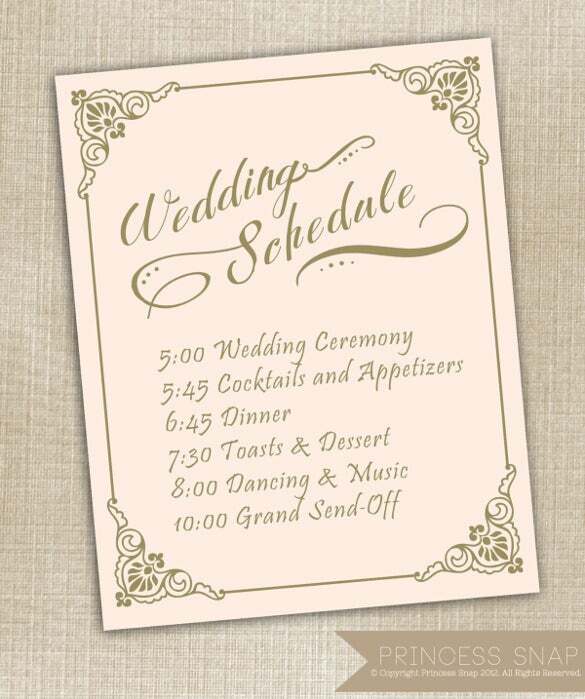 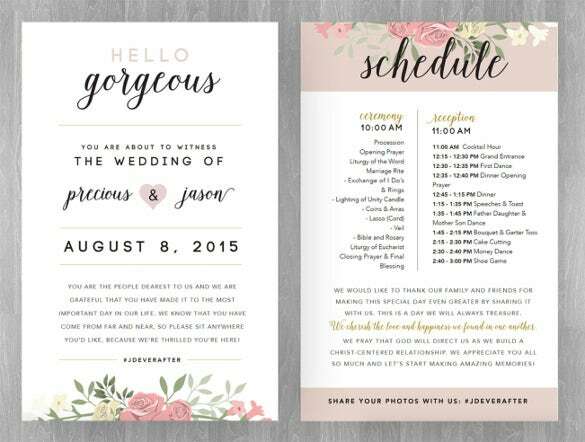 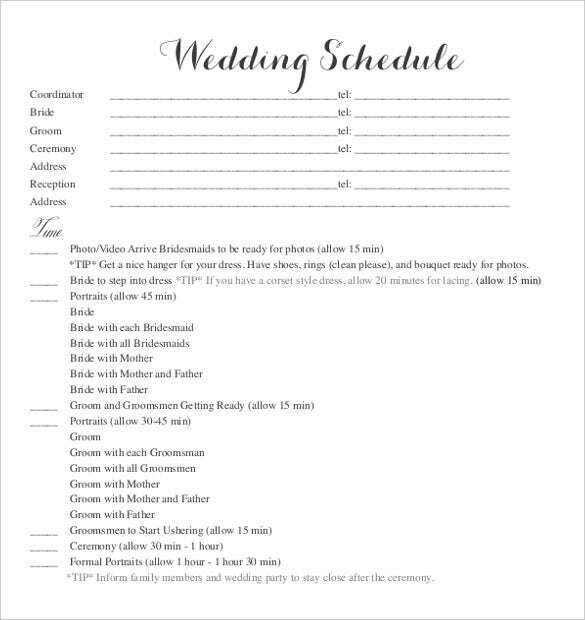 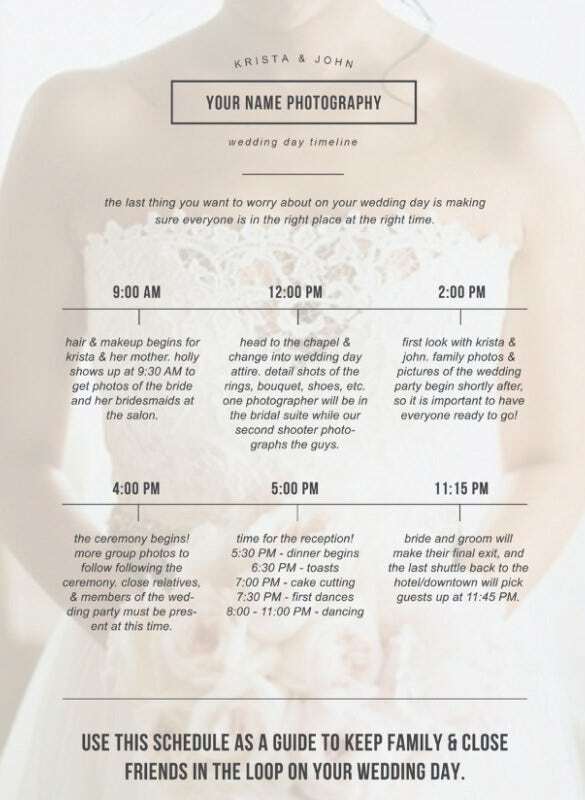 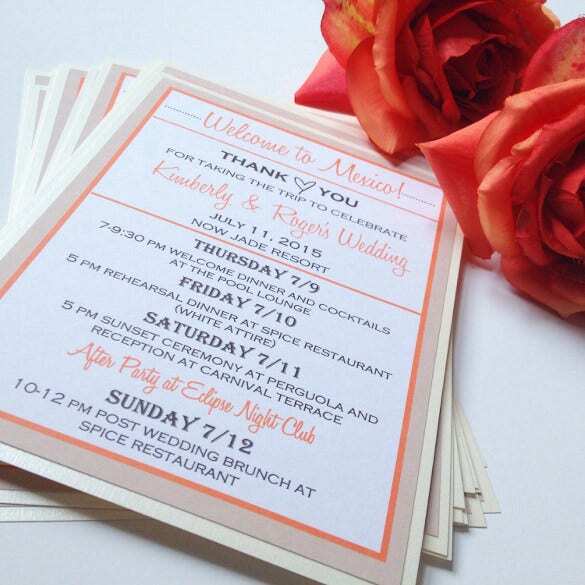 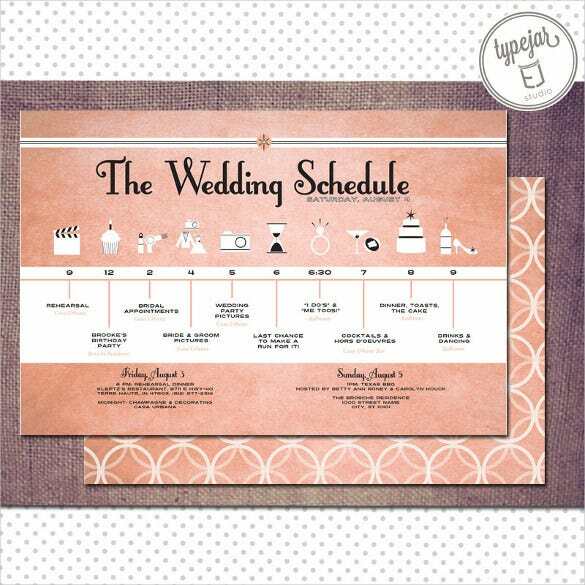 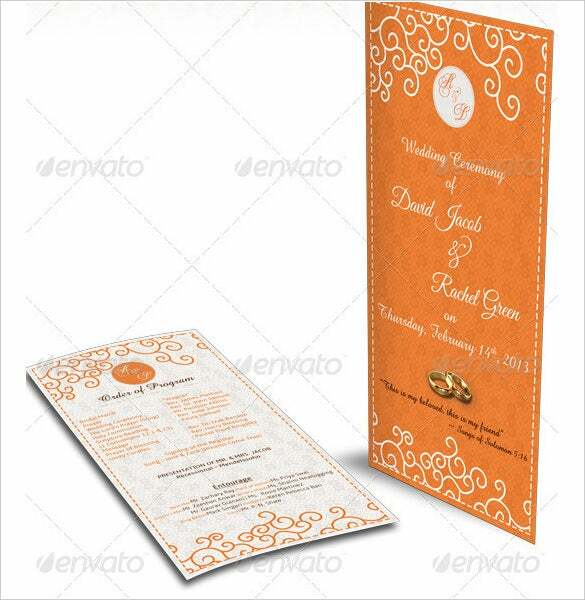 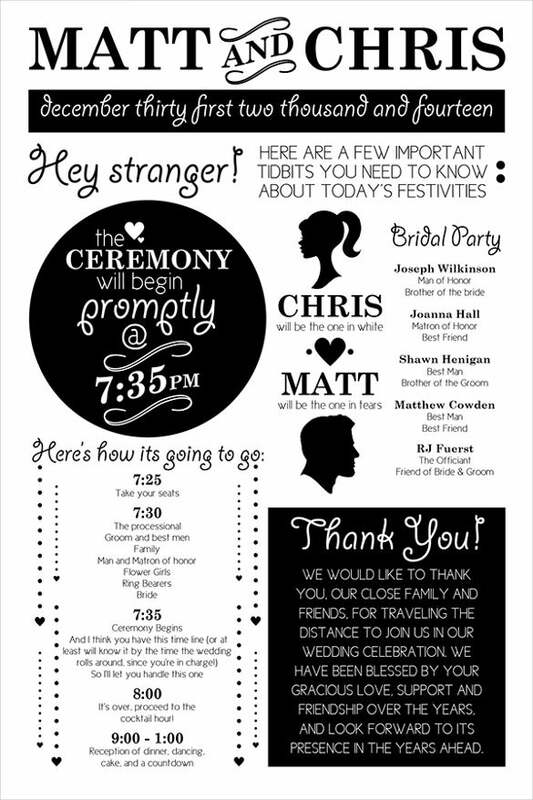 You can also see Wedding Itinerary Templates. 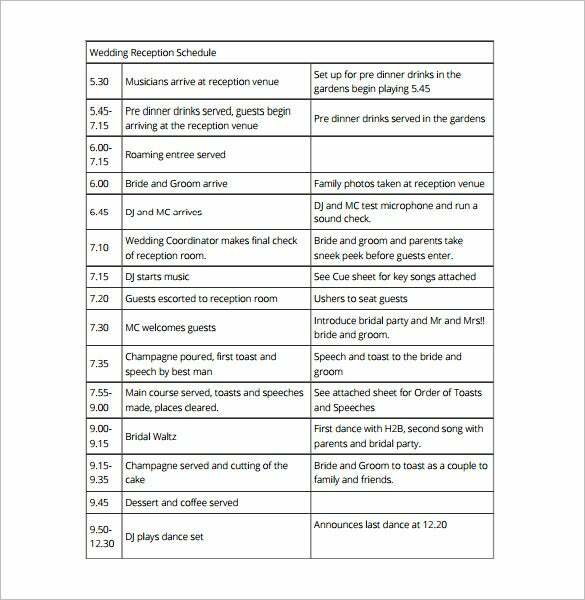 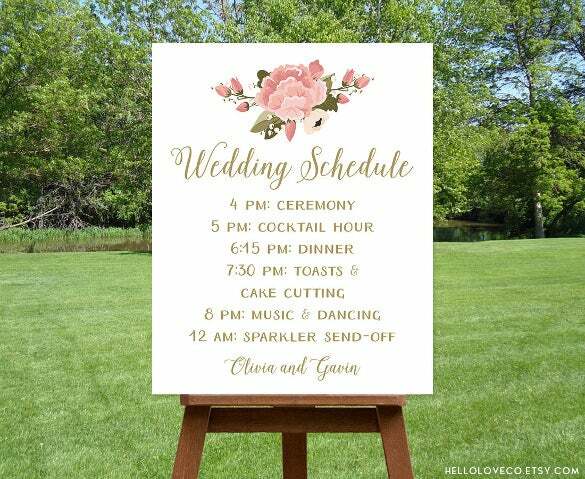 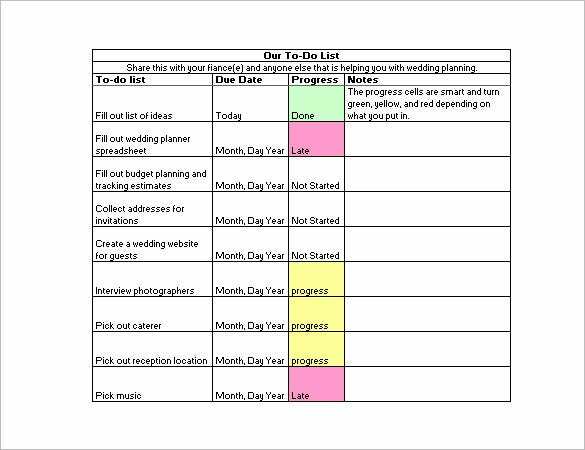 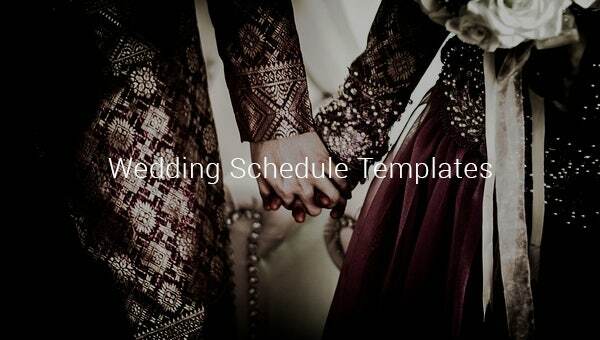 The schedule templates are available for free download; you just need to distribute among your team members who are organizing the wedding ceremony so that everybody follows same routine. 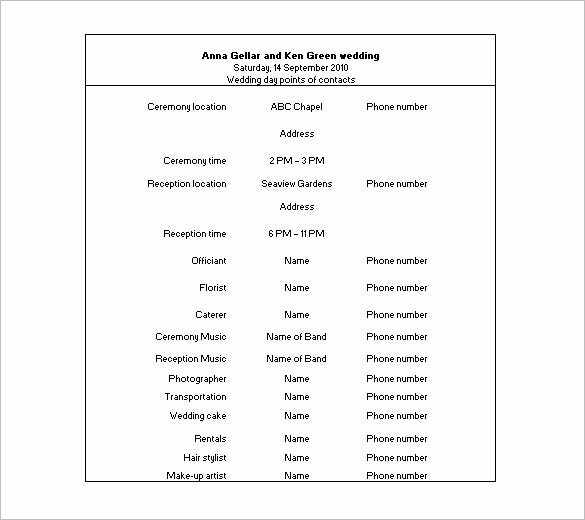 No problems about the format too as the Wedding Templates are available in word, PDF and excel.